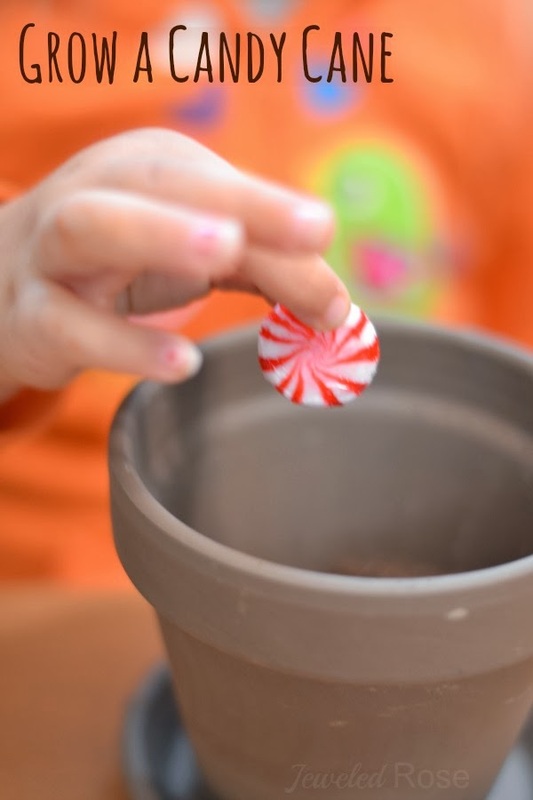 This experiment only took a few minutes to put together, and my girls absolutely loved it! 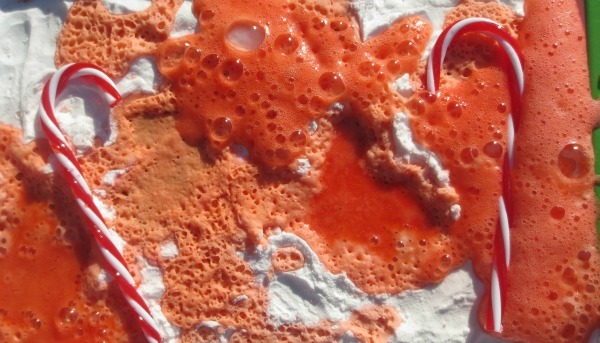 This candy cane experiment fizzes and POPS, and it will make your whole house smell just like Christmas! 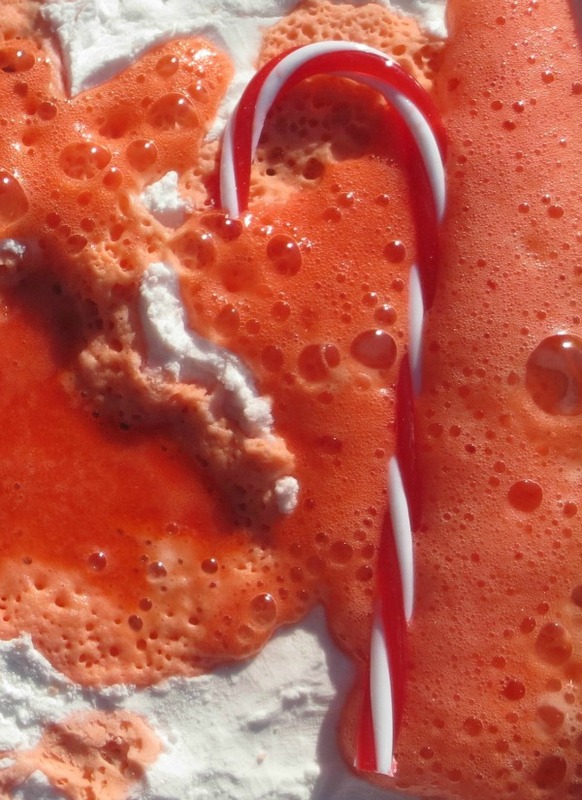 Begin by whipping up a batch of candy cane vinegar. 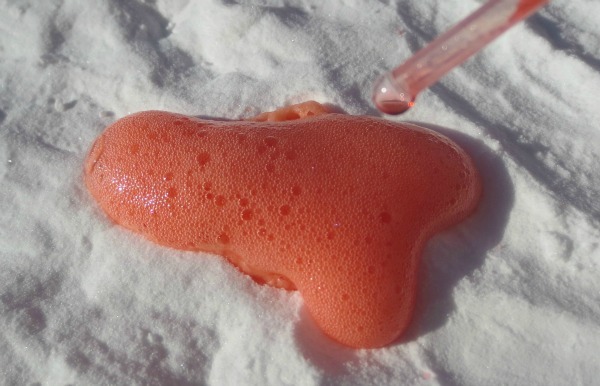 To do this combine one cup of vinegar with 3-5 drops of red food coloring and peppermint extract. 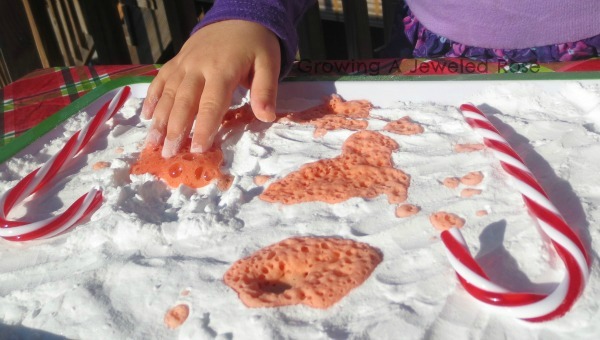 Line a shallow dish or container with baking soda. 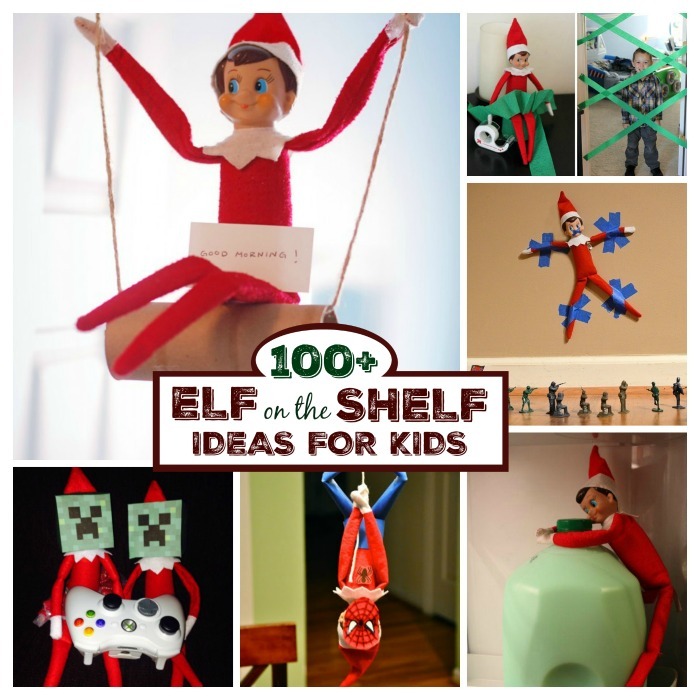 Add a few candy canes if desired. 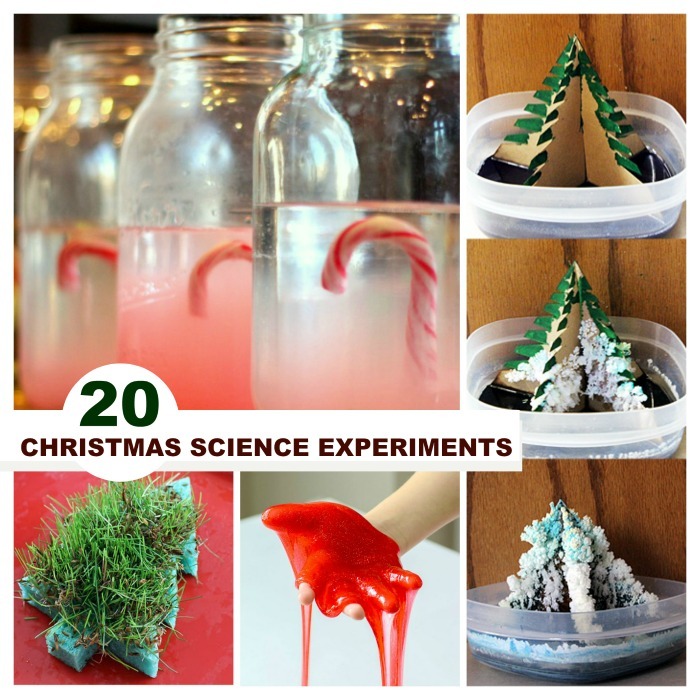 I added a few plastic candy canes, but real ones would be even more fun and react to the fizzing science. 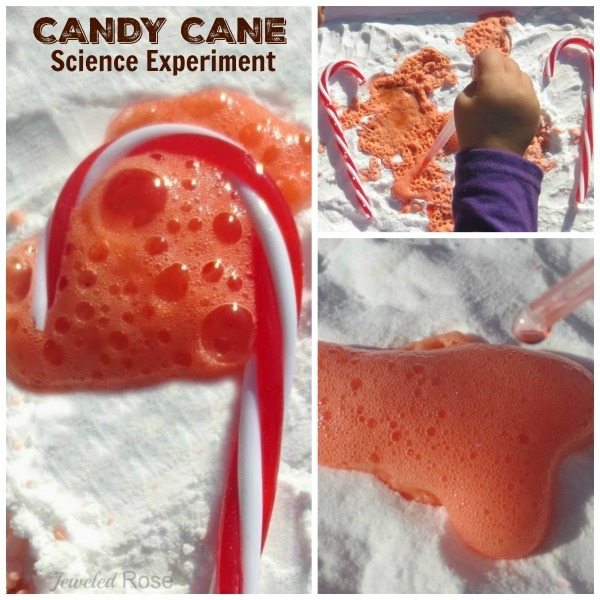 Give kids pipettes, and they will have a blast making exploring magical candy cane science! 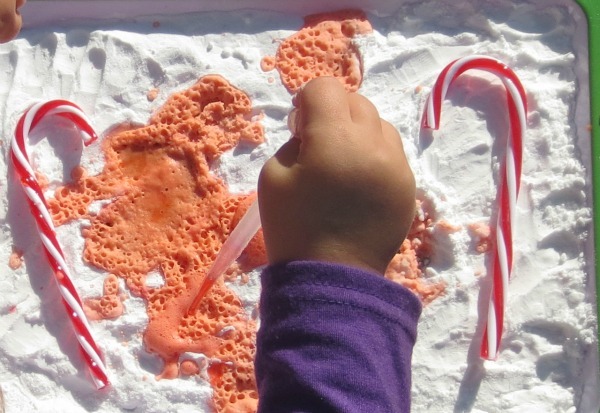 Rosie had a blast making candy cane eruptions over and over again! The red candy cane vinegar and white baking soda created the perfect candy cane effect. 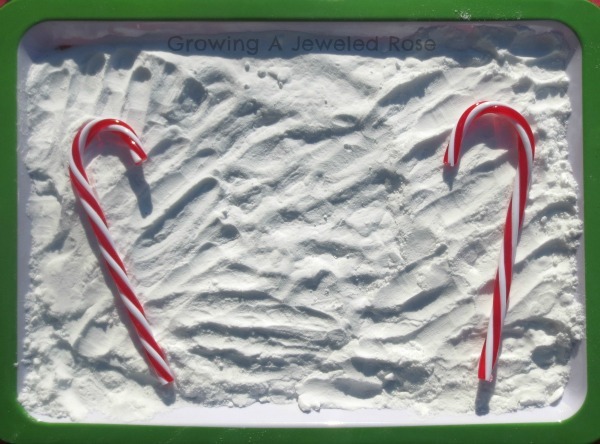 And the whole experiment smelled just like Christmas! 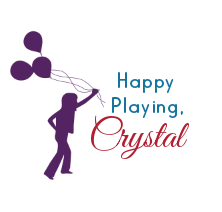 This was such a simple and fun activity, and it allowed for this busy mama to get dinner on the table without my kids wining at my feet- a win for everyone I would say!